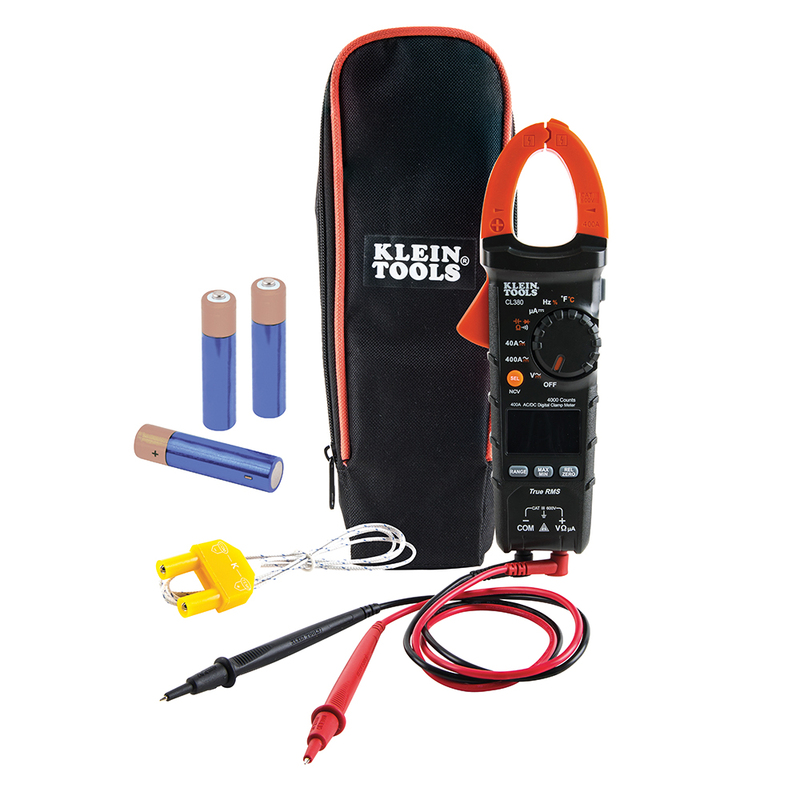 April 9, 2019 (Lincolnshire, Ill.) – Klein Tools (www.kleintools.com), for professionals since 1857, introduces a new AC/DC Digital Clamp Meter (CL380), bringing accessibly priced AC/DC True Root Mean Squared (TRMS) measurement capabilities to Klein Tools’ product line. 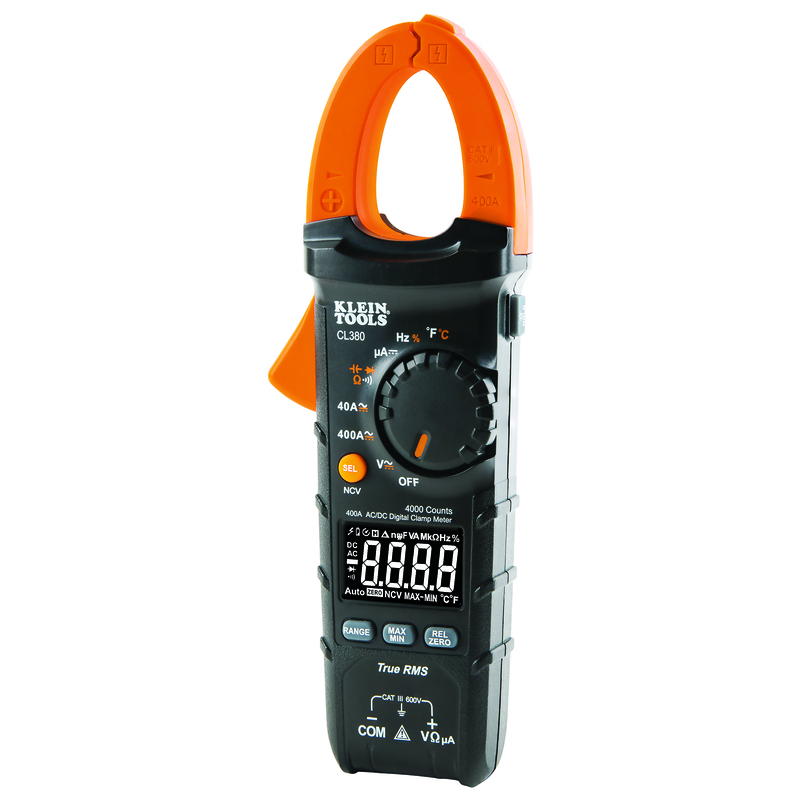 The CL380 Digital Clamp Meter offers the capability to measure current up to 400A AC/DC and also features a high-visibility reverse contrast LCD display for improved viewability in all lighting conditions. Additional applications include non-contact voltage testing, DC micro-Amp measurements, resistance, continuity, frequency, temperature, and more. Designed for general use in residential, commercial and light-industrial locations, the CL380’s excellent functionality and value provides professionals with a best-in-class clamp meter option.